Note: This is a sponsored post; all opinions are my own. Thanks for supporting those who support Chow Down USA! Photos by Icy Li Photography. These days, it feels like nearly everything is at our fingertips. With the touch of a button you can have a car service, groceries, home items, fashion and beauty items delivered to you in no time. It’s about time wine was added to the list! 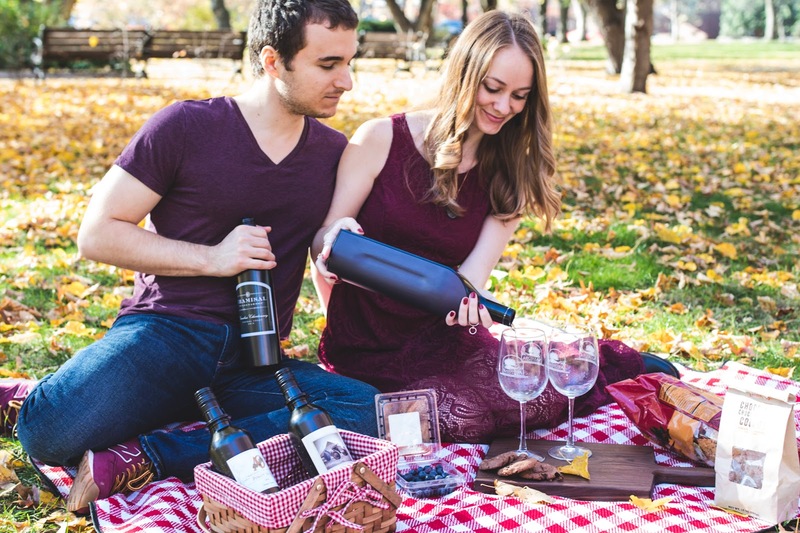 I’m thrilled to introduce you all to Kuvée, a wine experience company that has ingeniously created digital wine bottles that deliver not only wine, but Master Sommelier expertise to your doorstep! Read on to find out why this is the must-have holiday item of the season, whether you’re entertaining others or giving it as a gift! 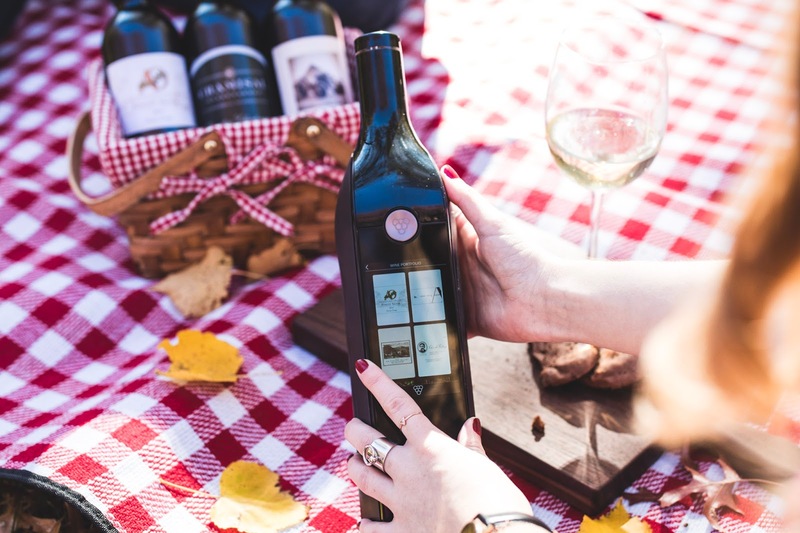 Every Kuvée bottle has a digital touch screen and comes with 4 wine refills, which are inserted into the bottom of the digital bottle. These refills come in a special bottle which stay fresh for 30 days – 10x longer than a regular wine bottle! 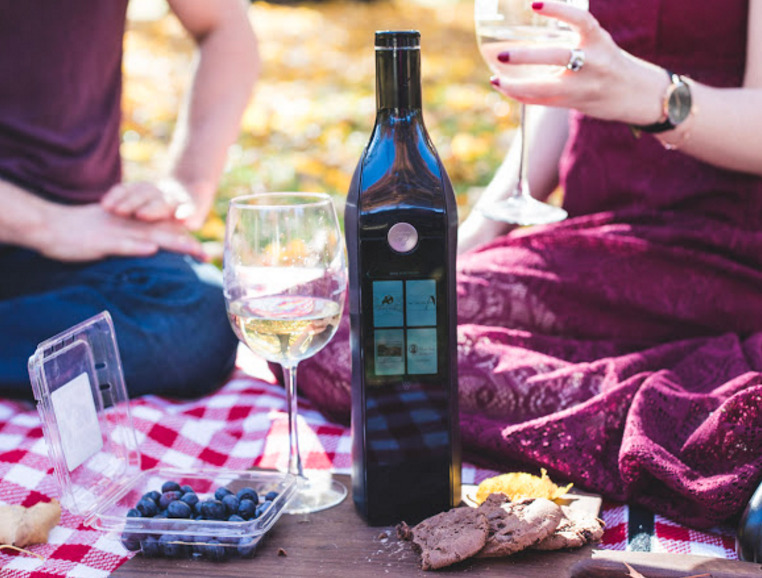 The touchscreen offers everything from rating your wine, to letting you know how much is left in the bottle, giving you vineyard history and tasting notes, and delivering recommended wines to your door! You don’t have to commit to one bottle of wine anymore. Since the Kuvée refills stay fresh once opened, you can open a new bottle (or many different bottles at once), without feeling pressured to finish any of them! This is so perfect for when you have guests over with different tastes, or if you just want one glass before bed. 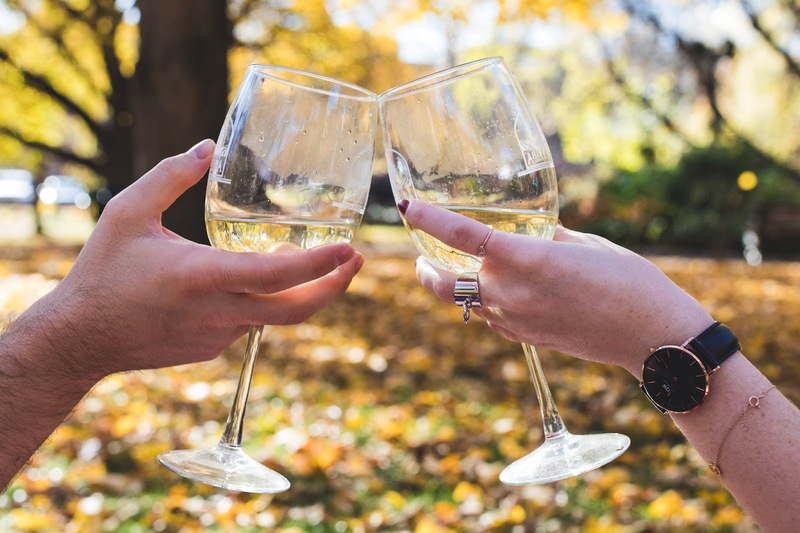 Speaking of Netflix… Kuvée’s digital touchscreen lets you rate the wines you’re drinking, and suggests similar wines for you to try based on your preferences – it’s just like Netflix for wine! You can also scroll through their gallery of wine, learn about the different winemakers, vineyards, and tasting notes of each wine, and have them delivered to your door with the touch of a button. It doesn’t get more convenient than that! 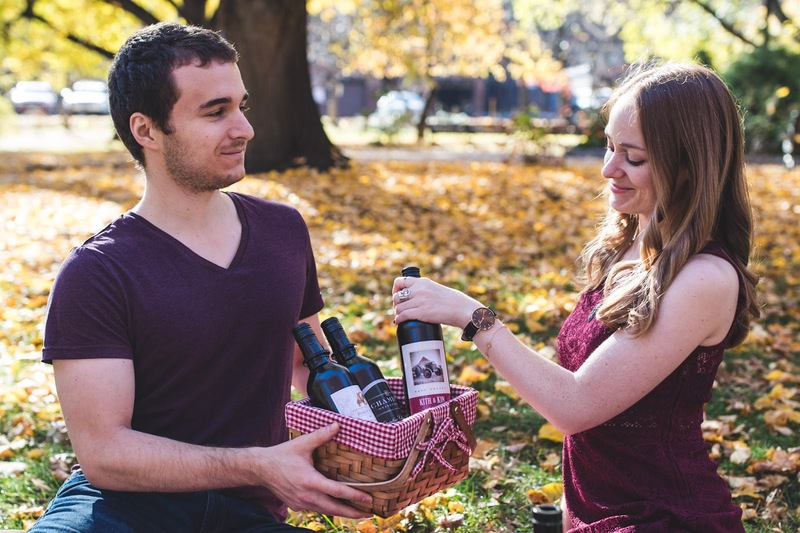 We took Kuvée for a test drive on a fall picnic in Boston. The digital bottle is perfectly sleek, easy to pour, and fun to use! When you insert a wine refill into the digital bottle, it pops up on the screen with information on the winery and the tasting notes it has. You can rate the wine so you remember which ones you like. My favorites were the Francis Coppola 2015 Sauvignon Blanc, which is special for me since my parents went to that winery for a party before I was even born, and the Kith & Kin 2014 Napa Valley Cabernet Sauvignon. I rated both 5 stars and learned a lot about each wine from the “bottle sommelier,” as I called it. For instance, The cab has 14.9% alcohol content and is said to smell of fresh fruit and white flowers. The Kuvée bottle even breaks down the various levels of expected tasting notes: first there are notes of Apricot and Asian pear, followed by lemon meringue and golden kiwi, and finally finishes with a hint of tropical fruit. I can never pick out these tasting notes on my own, so it’s funner for me to read these and see what I can pick up on! Scrolling through the wine labels on the touchscreen, Kuvée offers just enough information on each wine to educate you without getting too lengthy. There’s an intro screen with bullet points on each wine’s year, winemaker, origin, composition and alcohol content, followed by a short paragraph on the winemaker, another on the vineyard, as well as tasting notes. It’s really interesting and reminded me of the key facts we learned while on a wine tour in Napa Valley last year! When it was time to charge the bottle, it sent me a text to let me know. The future is now, guys! The Kuvée digital wine bottle system is honestly such a cool holiday item. It’s a great way to host guests with different tastes, or just have one glass at a time. Plus, it’s like having a Master Sommelier in your kitchen, letting you know all about the winemakers, vineyards, and tasting notes of each wine. Whether you’re treating yourself or wrapping it for the hostess with the mostest in your life, Kuvée is sure to impress. Learn more at Kuvee.com! 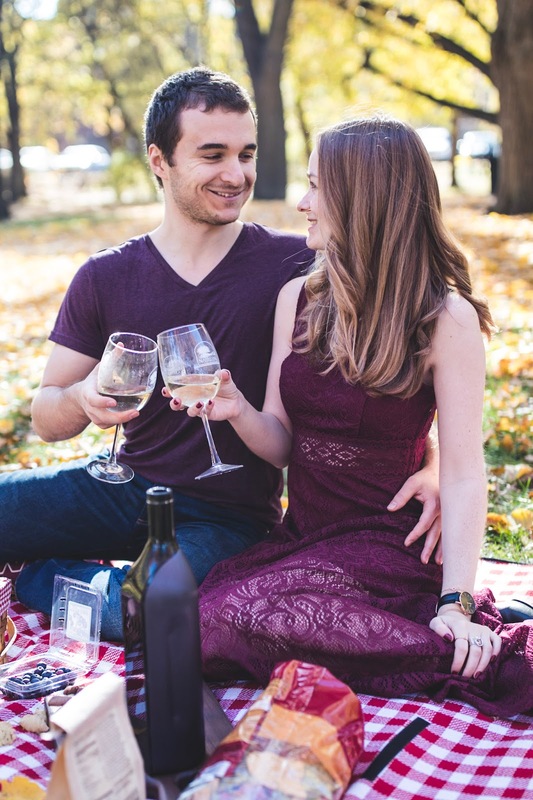 Comment Challenge: Do you like wine? Which is your favorite?